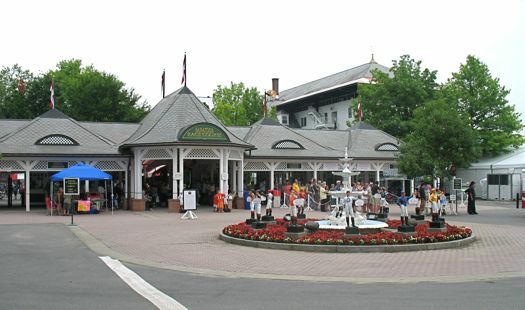 Tomorrow marks the 139th running of the Travers Stakes. Saratoga's signature race is the oldest horse race in the nation. The first "Travers" was run 11 years before the Kentucky Derby. So who was Travers? And why did they name a race after him? The first four day racing meet at Saratoga in 1863 (near today's Oklahoma Track) was so successful that John Morrissey knew what he had to do. With some help from Commodore Vanderbilt, he formed the "Saratoga Association", to plan construction of a new track. Someone had to lead the new group. Morrissey was busy with his casino business. Vanderbilt was busy with the nation's railroads. So they named a Baltimore stockbroker as president of the Association. He spoke with a stutter and was so unknown at the time, that some newspapers called him, "William R. Travis." His real name was William Travers, and under his leadership, the new Saratoga Racecourse opened in 1864. The meet kicked off with a stakes race for three year olds. To honor their chairman, the Association named the race, "The Travers". The early betting favorite in the five-horse field was Tipperary. Some money was plunked on a gray colt who, unbelievably, didn't have a name. Also racing were a filly named Patti , a colt named Ringmaster and another colt named Kentucky. Kentucky's owner just happened to be William Travers. This first race ever held at the Saratoga Racecourse, began with a false start. When they started the race over, Kentucky grabbed the lead, followed by "no-name" and Tipperary. The favorite eventually moved into second, and kept gaining on the leader but Kentucky never let go. The winner of the first Travers was Kentucky, owned by none other than William Travers. What happened to the horse with no name? Eventually he got one-- "Throg's Neck, Jr." He may have been happier without one. But wait, if the first one was run in 1864, why is this only the 139th Travers? There was no Travers stakes race in 1896, 1898, 1899, 1900, 1911 or 1912. Today there's a canoe in the pond in the center of the Saratoga Racecourse, painted in the silk colors of last years Travers winner, Street Sense. On Saturday night it will be repainted and by Sunday morning it will float in the center of the pond, bearing the colors of the new winner of Saratoga's, "Midsummer Derby." Mike Hare is the author of Saratoga Lives and a Spa City tour guide.